Each step-by-step activity is appropriate for kids ages 8–12, and ranked easy, medium, or hard, with an estimated time frame for completion. 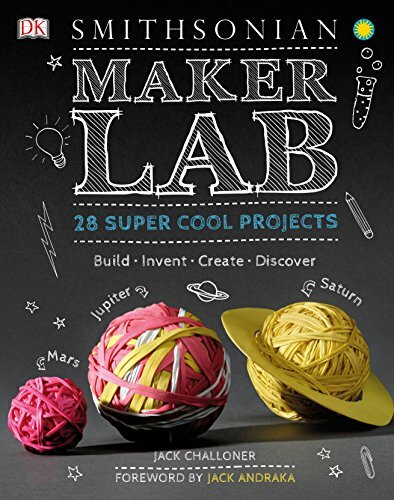 Requiring only household materials, young makers can build an exploding volcano, race balloon rocket cars, construct a lemon battery, make sticky slime, and more. Photographs and facts carefully detail the "why" and "how" of each experiment using real-world examples to provide context so kids can gain a deeper understanding of the scientific principles applied.